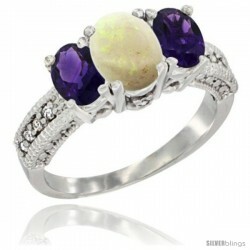 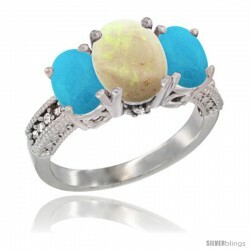 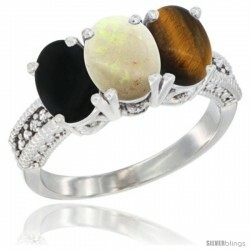 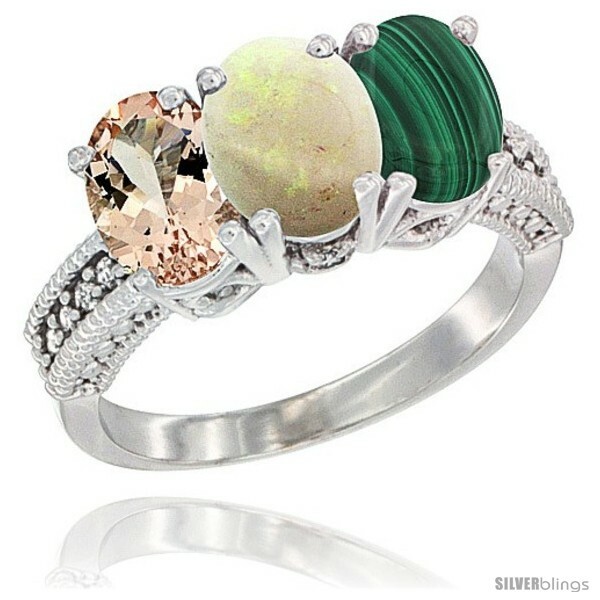 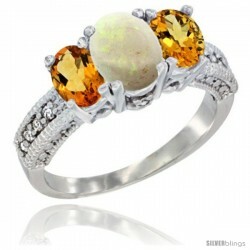 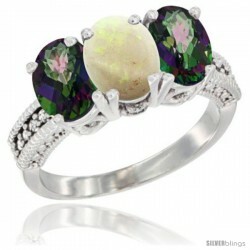 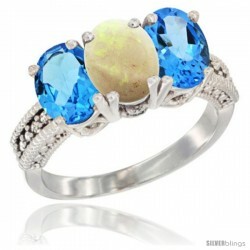 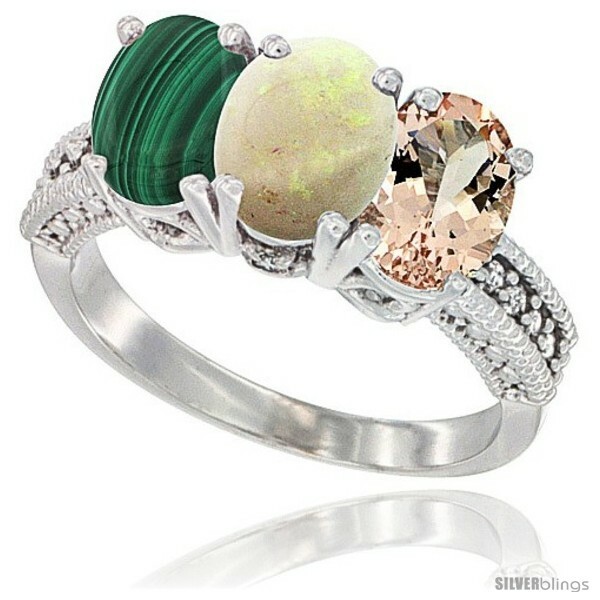 This heartwarming 3-Stone White Opal Ring made with 10k White Gold is an impressive piece. This Gorgeous Ring is made of solid 10K Gold set with All-Natural Gemstones and accented with Genuine Brilliant Cut Diamonds. Three Different exciting colors to choose from! Available in sizes 5 to 10 with half sizes. Placement arrangement of gemstones may be requested. Just send us an email with your order number and placement of gemstones from left to right.